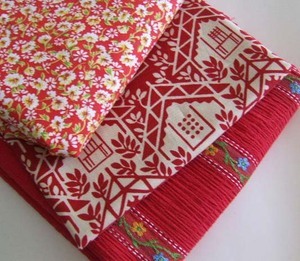 6 posts categorized "Fabric, beautiful fabric"
The box weighed less than two pounds, but I felt like a 100 pound weight had been lifted walking out of the post office, knowing the last of my Christmas orders was complete and in the mail. I think I may have even danced a little on the way to the car, it felt that good. The good cheer continued once home. I happily cleaned the kitchen in anticipation of enjoying my Chinese take-out on the couch with a mind clear of worries about a list of unfinished work. Let the holiday season begin. Just me and my dinner and a book, on the couch enjoying the Christmas tree. I may have danced a little more just thinking about it. It was nice. The house was quiet, but more importantly my mind was quiet. You know what's coming, don't you? Yea, it didn't last. Alyssa plopped down with a pen and paper, to help me make a list of the Christmas shopping I have left to do. Surely it can't be much, just a stocking stuffer or two right? Ha! Since it's a little late to order online with any confidence, and my personal shopper (Alyssa) works all week, I have to go shopping. Me and the rest of the slackers who have waited until the last minute. Delightful. Portrait of me, painted by Mitch. I'm not sure why some guy Mitch works with wants a picture of me on the front of his car, but whatever. Next year I'm starting in July. I may have said that last year too, but this time I mean it. Really. Maybe even June. Definitely. Ho, Ho, Ho! I'll leave you with this little bit of heaven I found last weekend. It's 45" wide chocolate linen with a large scale print (the trees are about 9"). 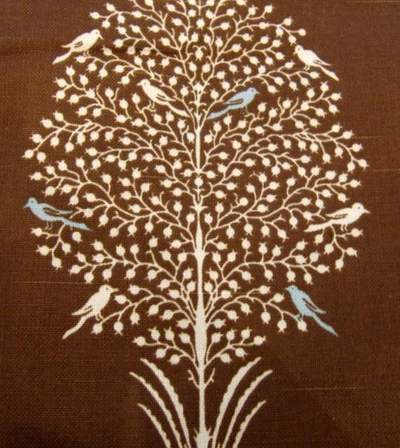 Birds, trees, linen. Perfection! I wish I could tell you where you can find it, because I'd love to have more myself. I bought it at a drapery/upholstery outlet and got all they had (only 3 yds) I've looked online without any luck. The only info on the selvedge is P/Kaufmann Fabrics. I guess I'll have to be very selective with how I use it. Happy Wednesday all! It is Wednesday isn't it? You could call this a tossed salad post or how many nice things can I talk about post or just a post without focus. Either way, what it isn't, is a ranting hormonal post. Thanks for all your supportive and understanding comments. Someone who really is very helpful and quite busy herself was offended and hurt, not at all what I would ever have wanted, so I deleted that last post. On to happier topics....like freebies, extras, unexpected little surprises. How often does WalMart or JoAnn's throw one of those into your shopping bag? Never? Me neither, but this week I received two different items I ordered online and found delightful extras in both packages. First was my fabric order from Monkey Foot Designs. As if this amazing fabric (on sale) wasn't enough of a treat. Love the birds!! Kris also included this reversible apron pattern. Check out Kris' blog for a link to her store that gives you 15% off your order. I feel so spoiled! Thank you both so much! I made an apron yesterday with an owl appliqued linen pocket. I didn't plan to be wearing an owl tee shirt while making the owl apron. Just a funny coincidence. I don't think you can tell, but the shirt says "I'm a hoot." I just love it! Beth, the shirt came from Journeys, but I don't see it on their website. On the subject of happy and tees, I found a couple on sale last week (really on sale- less than $3.00 on sale!!) that I'll share when they make it out of Mt. Laundry. More birds. Anyone else watch Dancing with the Stars? The two finalists were my favorites and I would have been happy for either to win. Congratulations to Helio, what a wonderful smile and delightful personality! I'm just bummed that the season is over. What will I do with my Monday and Tuesday nights? One more unrelated happy thing- I guess this post does have focus, loose focus, but focus nonetheless- happy things- and happy is always better than grouchy right? 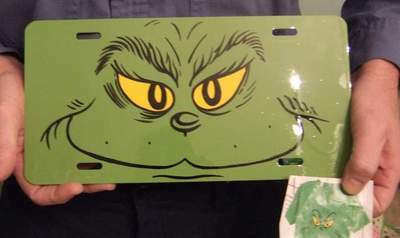 Mitch got a ticket last week- not the happy part, it was for having an expired license tag. Hmmm....I thought I renewed that. Ooops. Anyway, he was N.O.T. happy. ($150.00 fine) He went to the courthouse yesterday, ticket in hand and proof that he has since renewed the tag, with hopes that the DA or magistrate or whicheverpowerthatbe would perhaps cut him some slack for this careless oversight on the part of his absentminded wife. It worked. Ticket gone, just like that! Wohooo!!! Oohhh, while on the subject of happy, have you seen this very special, smile inducing bit of sweetness? Welcome to the world, sweet baby boy. Congratulations Angela, Ryan and big sister Keely!! Any happy thoughts you'd like to share? If you stuck around after the past two downer posts, thank you. Hopefully this blog contains more happy than sad, but I've always tried to keep it real. In reality there are going to be sad times. It wasn't a sad time when I went to the mailbox on Friday because inside was a present for me. I am not usually lucky when it comes to contests and drawings, but twice in a short amount of time I WON!! 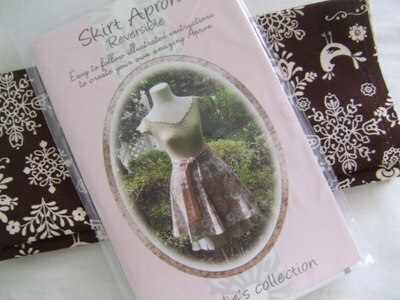 First I won fabric from the Sew Mama Sew blog. If you haven't been go check it out. 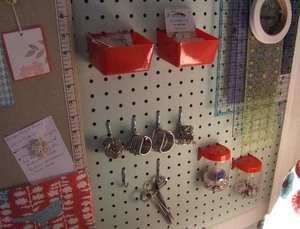 The blog is full of great inspiration and tutorials and Sew Mama Sew the fabric store is full of, well what you'd expect from a fabric store...fabric. But they have all the good stuff. The much sought after cool stuff. Not long after that I got lucky again. Mr. Cutiepatootie Jack drew my name to win 4 vintage table cloths. His mom was so kindly offering them as part of her birthday-week blog party. Sarah gave away presents to celebrate her birthday. Thank you Sarah!!! 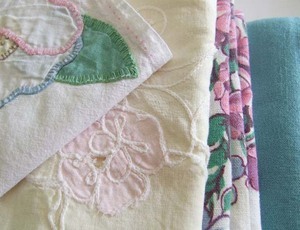 They are all so pretty but the aqua one on the right... the softest linen you've ever felt. Yummy, and it's my favorite color. I naturally navigate to cool soothing blues and greens so imagine my surprise when I took this fabric to the cutting counter at Joanns. I didn't notice when I was putting fabric in the cart that it was nearly all reds (the others were neutrals). I didn't go to the fabric store with any plans for buying fabric, I went because Simplicity patterns were 99 cents, but it would be crazy to make a trip to the fabric store and not buy a little fabric, right? Hey, it was all on sale. 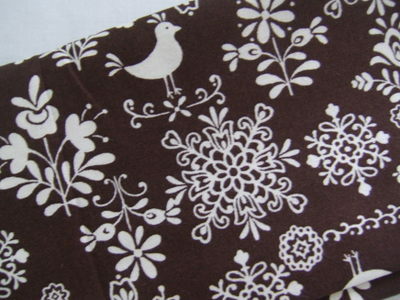 Anyway, just browsing with no real plan for the fabric, this is what ended up in my cart. Interesting, considering my feelings for red. Remember how I hated the big red couch? Then last night after a quick trip to walmart for pool chemicals and toilet paper, I came home with this. 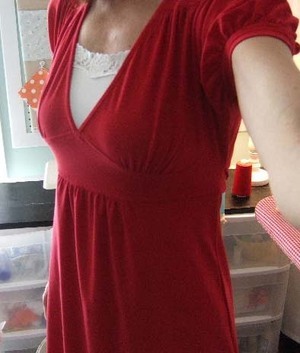 A sassy little red dress. On sale for $9. I was a little apprehensive about wearing it to church today. This conversation took place between Alyssa and I. Me: I can't wear this, I look like a hoochie. Alyssa: No you don't. It's cute, not hoochie at all. Me: I can't trust your opinion, your hoochie scale is different than mine. Alyssa: You have the hoochie scale of a sixty year old woman. That was going to be the end of the post but I just remembered one more thing, another unplanned item from the walmart trip. 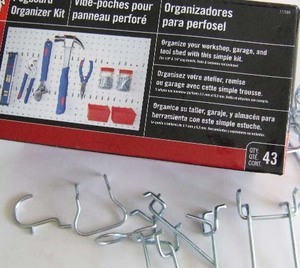 Someone asked what kind of hooks I used on the peg board. They were some Mitch had in his shop, just a random assortment he probably bought at Lowe's. I used all that he gave me and needed a few more. I was, (as LLA would say) stupidly happy to find this. It was cheaper than buying the different hooks separately. And the kit came with these cute little red cups and the little round containers with lids. Hmmm... more red. Along with a stash of fabric, I've also built up quite a stash of other supplies. You name it, ribbon, zippers, buttons, thread, patterns, I've got it. Much of it in bulk. I thank/blame my upbringing for this. I've heard it said that folks who lived through the depression tend to buy in bulk and stock up on everything. I'm not that old, I'm talking about the influence my granny had on me. Her sister, my aunt Mary is the same. Her kitchen cupboard looks like a small grocery store. Ask to borrow a cup of sugar and she'll send over a 5 pound bag. She wont miss it because she has as least 5 more on the shelf, right next to the 20 cans of cream of mushroom soup and the 10 bottles of Italian salad dressing. I was raised with that stock-up mentality and I have the weakness for fabric gene. A dangerous combination don't you think? Especially for someone on a tight budget. I have vowed to do better, to exercise more restraint and not to buy things I don't need just because it's so darn pretty or such a good deal. Having the stash has really helped in this effort. It's greatly minimized the need to run out to the fabric store to start a project or worse yet in the middle of one. What I bought unnecessarily in the past has been put to use. Yes, I've been doing good with using what I have. Toni made a pledge to try this for a whole month last April, inviting others to join her and in the process started a use what you have movement among bolggers. Use what you have only works when you have what you need or a suitable alternative. I have an order for 5 purses and needed bamboo purse handles. I didn't have any or an alternative, so I had no choice but to go to JoAnn. At least the handles were on sale, 50% off. The rest of what I came home with was surely not needed but can I really be held accountable? You can't see it in this picture, but the fabric on the top left has sparkles in it. I'm not really a sparkles kind of girl but they are subtle and really pretty so that fabric had to come home with me. It told me it wanted to be a skirt. Apparently the two under it told Alyssa the same thing. 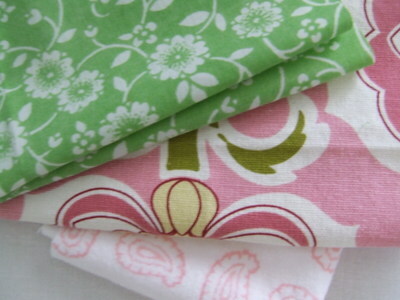 I've been eying that pear and apple fabric online for a while not knowing it was waiting for me at JoAnn all this time. When I walked by it jumped right in the cart, I didn't have the heart to put it back. Seeing the pears in my cart a nice associate pointed out this really cool lemon print (she called it apples, but that's ok). Into the cart it went, who am I to argue with helpful sales associates? As long as we're shopping for produce the one on top right couldn't be left out. I'm not sure what fruits and vegetables are represented here. There is what I'm pretty sure is an apple, something that looks a lot like an onion, and what may be some sort of squash. Whatever it is, it caught my eye and you know the rest. That twill tape could. not. be left at the store (Michaels). I'm sure it would have been some sort of crime. Twill tape neglect I believe. 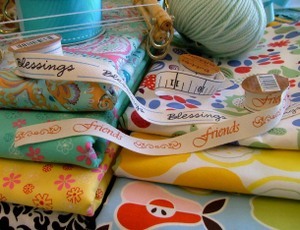 Come on, twill tape that says friends and blessings? Could you have resisted? 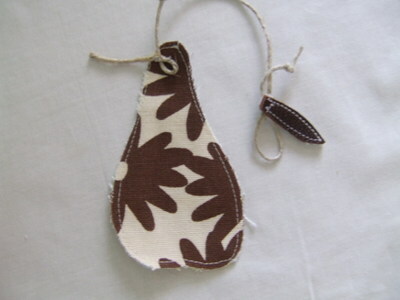 Oh, there are the purse handles. Trouble makers!